So this is my first order from Just fab! As people have seen on television just fab gives you shoes and other fashion according to your style, you take a little survey and they provide you with shoes or other things you are looking for. I ordered two shoes, buy one get one free with your first purchase! And a bag to go along of course, I will be talking about the bag in this blog and the shoes in the next upcoming blog! I need to test the shoes out first! But this is a un-boxing first impression! Here are the pictures! 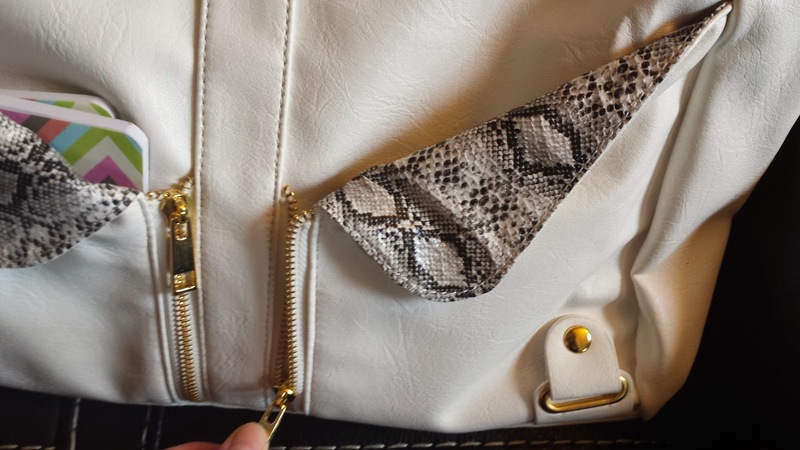 The bag is called East End, and comes in several colors, I chose white because I love the gold accents against the white and the fake snakeskin inside the outer pockets. The inside is blue and has 3 pockets and is very spacious! I love the bag! So functional and big! 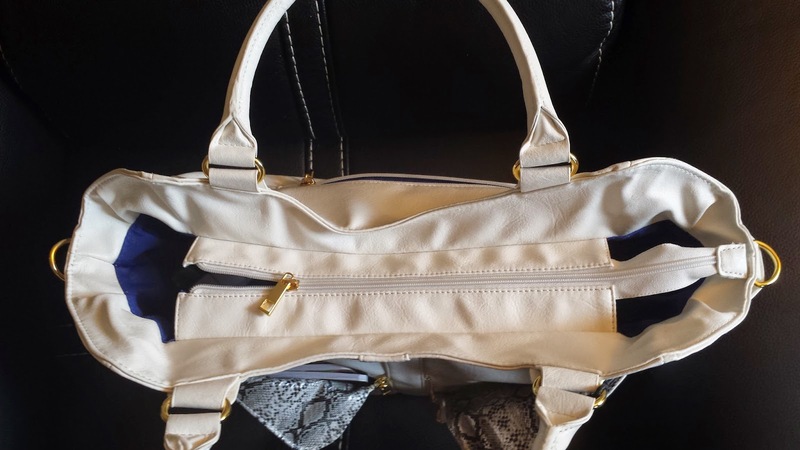 Perfect for a person who loves to stuff her bag with endless items, baby bottles, 34 oz bottles, diapers, pads, papers, pens, books, lipsticks, eyeliner, baby clothing and much more! ha-ha I was always like this. Very big and spacious, just what i was looking for! It comes with an extra strap, which I love because I love putting bags over my shoulder, it includes 3 outer pockets. 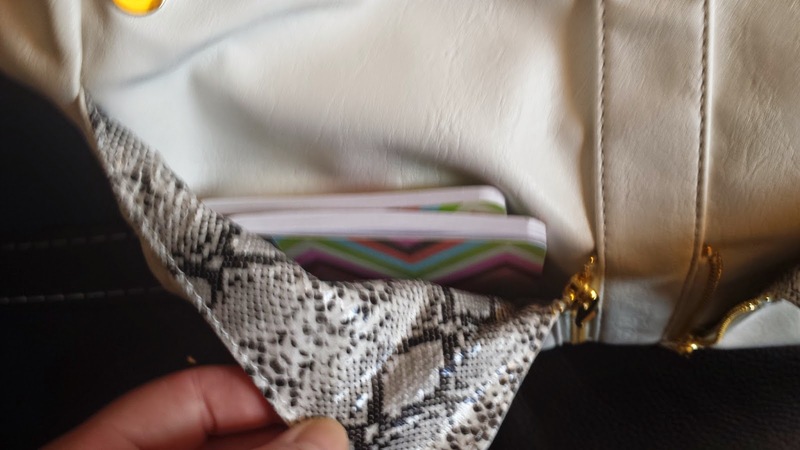 One main pocket on the other side with a zipper. The design is unique but i wouldn’t store my keys or money their because it isn’t the type of pocket to secure your personal belongings. I bought it for $39.00, and I go on the website today and see it on sale for $14.95! More than half off!! Bummer for me!, great for you guys because I get it for an amazing price and I paid full. I provided you guys with justfab websites but I am not affiliated with them! 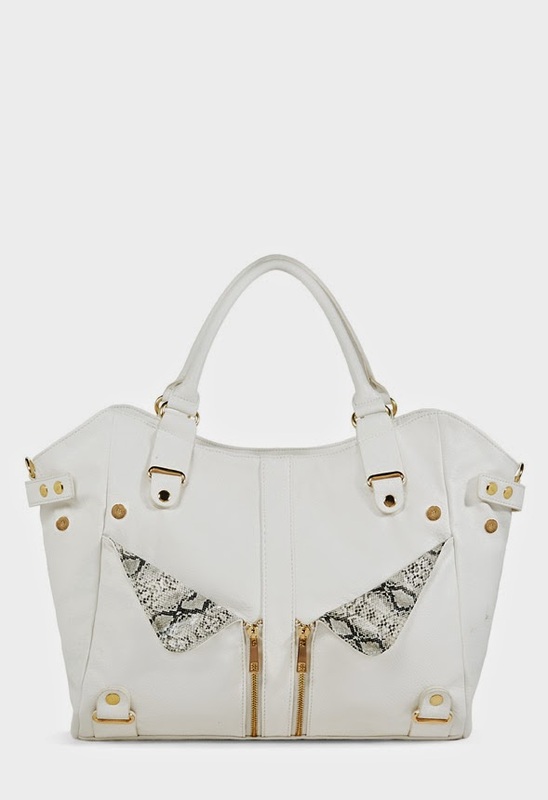 If you do want to piurchase this bag or see more options just click on the clearance links! 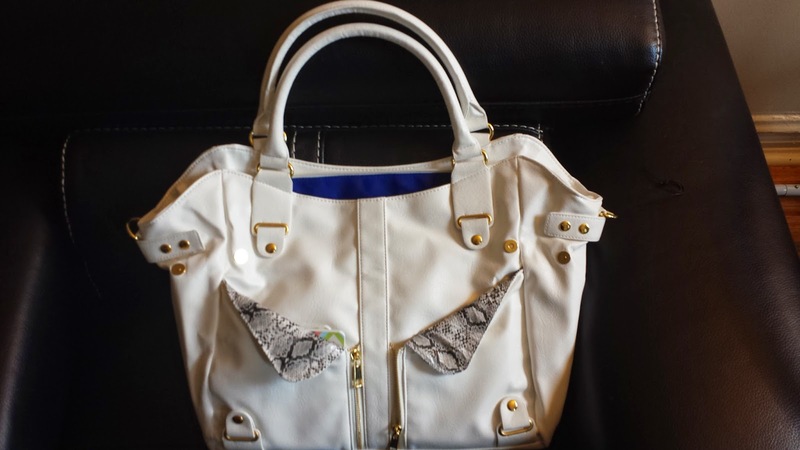 This bag really is a keeper and just fab is an amazing website! What do you guys think of this? have you had a good or bad experience with just fab?